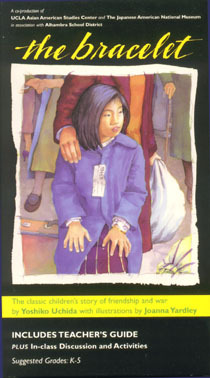 A video presentation of Yoshiko Uchida’s children’s book about a gift from the heart and friends separated by war. Joanna Yardley’s original illustrations are intercut with rare home movies and historic photographs to tell this heartwarming story of emotional growth and understanding. Read by veteran teacher Patty Nagano who conducts a discussion and activities with a 2nd grade class after the story. Directed & edited by John Esaki. Produced by Jennifer Kim.